Delightful modern comfy beach house in Mollymook, south coast, New South Wales, 2.5 hrs S. of Sydney and about 2 hours from Canberra. Home consists of 3 bedrooms and 2 baths. Sleeps 6 adult guests comfortably. BBQ facilities provided. The rear deck offers water views. It is a short stroll to fabulous Mollymook Beach. Enjoy golf, fishing, walks, horse riding and other activities. While staying in the Breeze in Mollymook you can enjoy not only pretty Mollymook, but the surrounding suburbs of Milton, Ulladulla and Narrawallee, Kings Point, Burill Lake, Tabourie Lake and Lake Conjola. When not in the beach, enjoy walks, have some fresh seafood and coffee in so many lovely cafes. When you are looking for a Mollymook holiday home or a comfy Mollymook holiday rental, we welcome you to book Breeze in Mollymook. Breeze gives you a place to live and play in Mollymook close to Ulladulla and is the perfect holiday house in Mollymook for your beach holidays with family and friends. Stay in this holiday accommodation in Mollymook and you will able to explore the spectacular Shoalhaven region leisurely. A day trip to Batemans Bay is also not far away. Travel 40 minutes south of Mollymook and you will reach Eurobodalla coastline. Master Room with Ensuite. Master room contains a Queen Bed. Second room with Triple Bunk (Double at bottom and single on top). Third room contains 2 single beds. Equipped with TV, DVD & Video Deck, CD/Tuner, Cooker/Oven, Microwave, Fridge, Dishwasher, Washing Machine, BBQ. You need to bring your own sheets, pillowcases and towels (or can be hired @$20/guest). Pillows and doonas are supplied. Unfortunately, parties & functions are STRICTLY prohibited as the home is located in a serene holiday location where guests & residents retreat to bed early & rise early morning to enjoy the days activities and the surrounding scenic beauty. Please refrain from smoking. Sorry, we are unable to accommodate pets at this stage. WANT TO KNOW MORE ABOUT MOLLYMOOK ? Mollymook is the beach paradise township on the NSW south coast of Australia. It is within easy comfortable distance of Canberra and Sydney. Mollymook is your ideal escape for a beachside holiday any time of the year. This fabulous beachside township is located only minutes from Ulladulla which has a picturous harbour and minutes from historic Milton. These three areas complement each other with their own special features, scenery and ambience. The surrounding townships offer an abundance of natures marvels with breathtaking scenery, forests, mountains and fascinating waterways. Mollymook is known for its beautiful surf beach of never ending clean sands, crystal clear waters and also for its beautiful and lushes golf courses. Mollymook Beach is one of the south coasts most popular and best loved beaches. The beach is blessed with crystal clear waters and golden sands. The beach is wide and long with ample room for surfers, boogy boardriders and fishers who can all enjoy their own piece of the beach. One end of the beach is home to the Mollymook Surf Lifesaving Clubhouse. Mollymook beach is patrolled during the summer season. Close to the Surf club lies Mollymooks beachside 9 hole scenic golf course. Mollymook Beach often is the venue for the colourful & spectacular National and state surf lifesaving carnivals. Mollymook Beach also hosts international Beach Volleyball. This beach is an ideal place even if you want to have a picnic, read the papers or just relax gazing out over the beach and ocean. Many who visit enjoy the grassy reserves along the beach. Adjacent to the Mollymook Surf Lifesaving Clubhouse is a popular childrens playground. The far northern end of Mollymook Beach is another great swimming location. Visitors can continue north around the rocks to Bannister Head. Off Bannister Head is a favourite diving spot for the experienced divers. Mollymook Bay is home to a pod of bottlenose dolphins who often stop at the beach to catch a wave - It is magnificent to witness these dolphins surfing and will stay in your memories forever. Whales are often spotted during migration seasons as they make their way up north along the east coast. Fish are plenty in the Mollymook bay. Boat fishing as well as fishing on the beach can be witnessed quite often. Bogey Hole, a large circular rock pool located on Mollymook Headland is one of the most beautiful natural formations of Mollymook beach. The Bogey Hole is a tidal pool. It is very shallow at low tide and the formation of protective ring of rocks ensures a safe but fun environment for the young. Obviously these safe shallow waters make it an ideal location for families with young children and for people who prefer a calm spot for a swim. It is a great spot for a picnic day out. If you prefer safe snorkling then the Bogey hole is ideal for that too. It is an easily walk around the headland from the southern end of Mollymook Beach to the Bogey Hole and Collers Beach. You could also drive to its car park via Riversdale Avenue which is across Mollymooks Beachside 9 hole Golf Course. Mollymook boasts two beautiful and scenic golf courses. The picturesque 9-hole Beachside Course has stunning sea views from the course, clubhouse and restaurant. Visitors are welcome at the 9 hole as well as the 18-hole championship Hilltop Course which is located in Maisie Williams Memorial Drive. Mollymook and surrounding suburbs are so beautiful and you are sure to enjoy. Beautiful beach which is patrolled. Ideal for boogy boarding and surfing. 5 minutes from Ulladulla which has a picturous harbour and 5 minutes from historic Milton. Spectacular Scenery, forests, mountains and waterways. Two beautiful public golf courses. One adjacent to the sea. You could snorkle in Bannister Head, north Mollymook. Dolphin watch in Mollymook Bay which is home for pod of Bottle Nose Dolphins. You could spot Whales during migration season. Bogey Hole located in Mollymook headland another ideal swimming spot. Short drive to Pigeon House Mountain, a challenging climb to the summit to enjoy breathtaking views. Markets in Mollymook Beach on 5th Sunday of the month. Rick Stein's award winning restaurant "Bannisters" just 1 minute drive from Breeze in Mollymook. Funland in Ulladulla a super place for young ones to have lots of fun. Cozy 3 bedroom holiday home. Extremely popular holiday rental in Mollymook beach where it has been an enjoyable place to stay for thousands of guests. The home is just 800 meter walk to beautiful Mollymook Beach and just a 2 minute drive to the 9 hole beachfront golf course and the 18 hole championship golf course. We have guests who come to enjoy the beaches, play golf and those who wish to enjoy an extended vacation after attending a wedding in Mollymook. Our home is such a central spot to the beaches, restaurants and the two golf courses. The close proximity to water allows you to enjoy surfing, kayaking , canoeing, boating, boogey boarding, wind surfing and various other water sports while staying in this Mollymook holiday house. The Mollymook holiday home is also less than 5 minute drive to cafes, restaurants and shops in Ulladulla as well as less than five minutes to the quaint township of Milton which has so many cozy cafes, restaurants and very interesting souvenir shops. If you are a boating enthusiast staying in our Mollymook Beach holiday house, Lake Tabourie and Burrill Lake are just few minutes away for you to launch your boat. 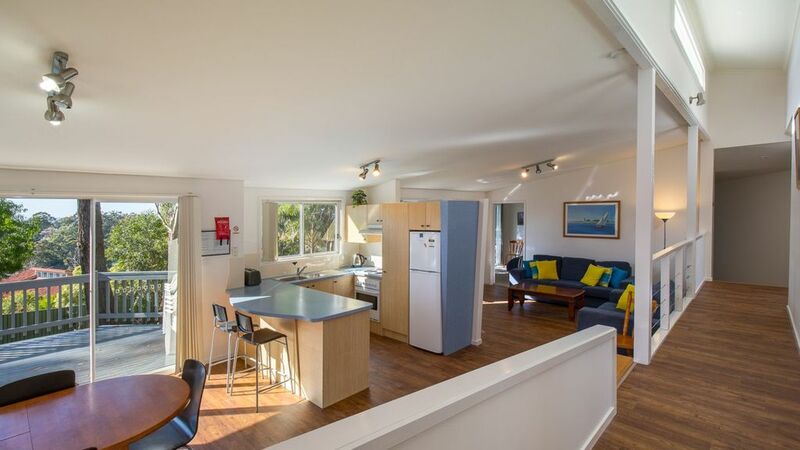 Do come and stay in our Mollymook Beach holiday home ! Most guests bring own linen. But we can provide Doona covers, bedsheets, pillow cases and bath towels @ $20pp. We need 48hr prior notice to organise linen. House located within 1.5km of the 18 hole champion golf course and the 9 hole beach front golf course. Wonderful location in a quiet street. The ideal mollymook location. We had a wonderful time in Mollymook staying at Breeze this week. It is in an ideal location with a short drive to beaches, golf club, bowling club and shops. The bedrooms were spacious and the backyard was so fantastic for our children. A lot of space and a very homely feel. We would definitely recommend and we would stay again. Hi Emma. Great you enjoyed your stay. We hope you will visit us again. Best wishes for 2019! It was even better than it looks! We had a phenomenal time! The bring your own linen was a bit annoying, but otherwise, it was lovely! Thank you Dianne. Hope you will visit us again, next time for a longer stay. Very best wishes for a merry Christmas and a happy and healthy 2019! Great house for family holiday! Our family enjoyed our stay at Breeze in Mollymook. We travelled as a family of four with two adult children. There was plenty of room and comfort for all. We could walk to the beach and shop, it has a huge backyard and all the facilities needed. Communication with the owners was easy and they responded quickly to all my questions. Thanks! Thank you so much Marie. Your family were great guests and we love to have you back. Wish you all the best for 2017! This house was not suitable for young families. The bath plug did not fit, TVs reception was terrible, the remote for the DVD player did not work, multiple sets of stairs, the main source of heating were radiant heaters (they are very bright and hot to touch), not really well stocked for groups larger than 2 adults (only 4 tea cups, barely enough sugar sachets to last our stay). This is a beach house patronized by delighted guests during warmer months. During winter the rents are really cheap and the guests cannot expect any thing more than electric radiant heating, column oil heating etc which we have provided and there are electric under blankets. If the guests looked in the kitchen cupboards carefully, there are sufficient crockery, cutlery, tea cups for 7 guests. Will attend to TV reception and bath tub plug.